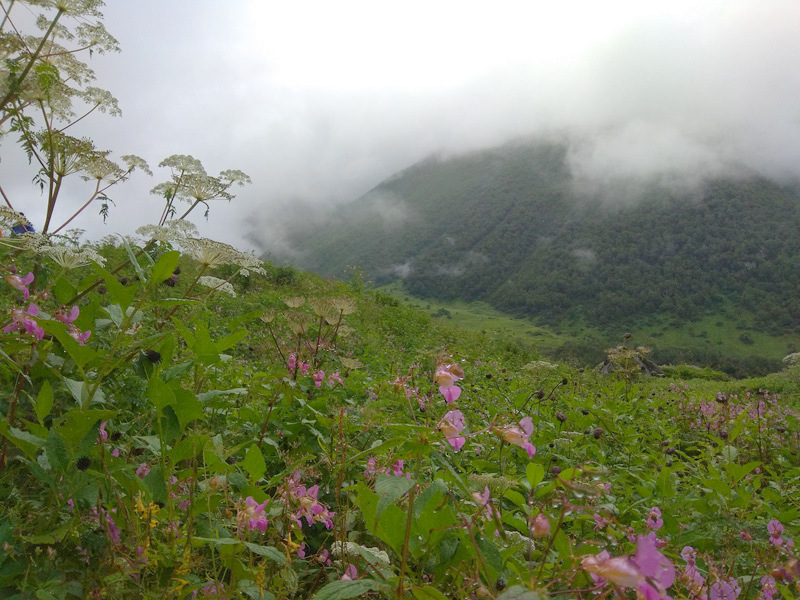 Rajmachi trek was in my list of to do trek for a long time . 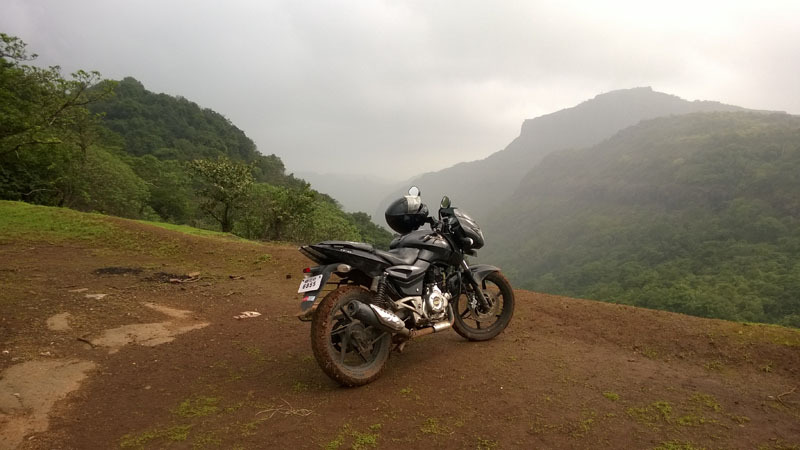 It also happens to be the most nearest trek from my home at Pune .I was just needed to drive down to Lonavala (60kms) and then start my trek up the trail leaving behind my bike . 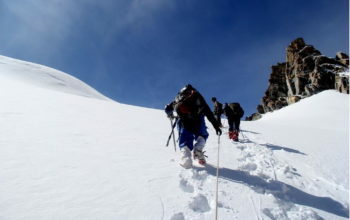 After googeling for some more info – I found that there are two routes to reach the forts. A difficult one from Karjat side via Kondivade village and other one a piece of cake of plain walking on gradual ascented path for 15kms . Since Lonavala route was nearer so I decided to take up the later route . I decided to leave my bike near a friend’s house at Lonavala and then begin my trek. Then I happen to see some bikes at a distance trudging up on the trail .I thought if others can take up their bike why not me .Even it didn’t rained today but it had rained a lot for last two days .So at first I was bit apprehensive on taking my bike up fearing of mud and slushes which might clog my bike’s tyres . But upon enquiring a fellow biker i got an assurance that the whole path is still bikable and one can reach as far as near the base of the fort without even leaving one’s bike .And so i kept on rolling my bike . 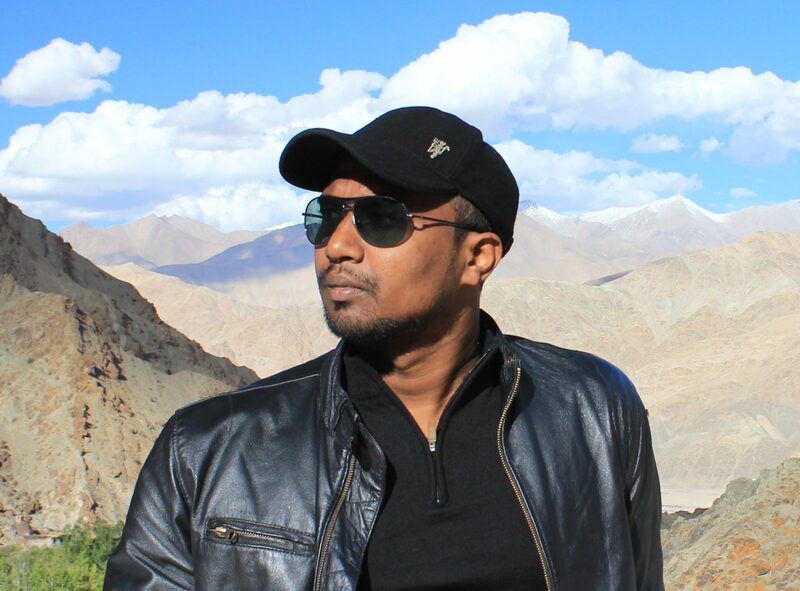 There were some patches on path where I really got feared of getting stuck , but my bike seemed like rolling on a buttery road and it never complained .Mid way i took a halt to relish the sight of a waterfall whose water was falling from the horse shoe shaped mountain . A good sight and a cup of tea made by a local tea seller surely made it a day . I reached the fort’s base after 3hours of serious off roading biking experience . I left my bike at the base of the fort and I climbed some steps to reach the fort’s gate.Got astronised by the way the fort was designed. 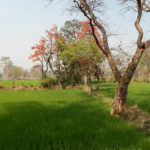 With all the defenses and sharp bends and narrow path leading to the central hallway must have put many conquorers including the Mughal into serious difficulties while ovecoming Fort’s defenses .The fort complex was originally constructed by the Satavahanas. In 1657, Shivaji Maharaj captured this fort along with other neighbouring forts from the Adilshahi ruler of Bijapur. In 1704, the Mughal Emperor Aurangzeb captured the fort from the Marathas. However, the Marathas regained its control in 1705. In 1713, Shahu Maharaj handed over Rajmachi fort to Kanhoji Angre. 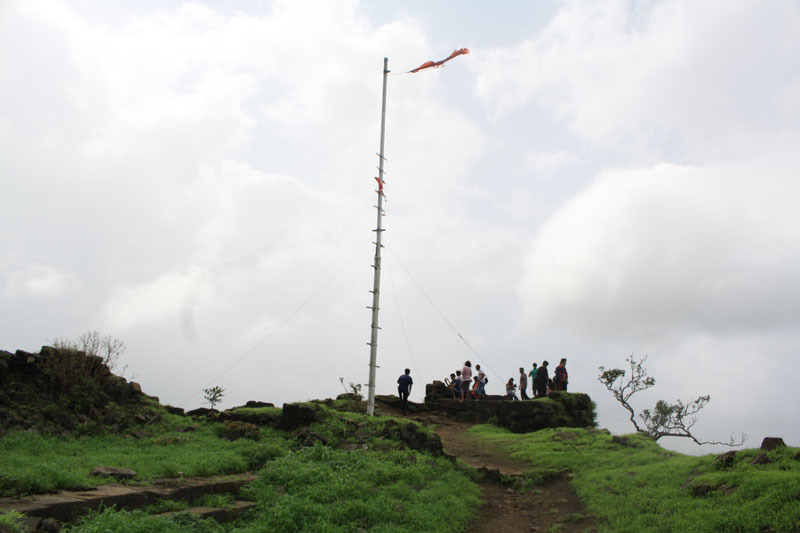 Eventually in 1818 with the downfall of the Marathas, the British acquired the control of the Maratha territories including the forts such as Rajmachi.Currently Rajmachi Fort has been declared as a protected monument and for trekkers it’s a gem among other trekking trails. 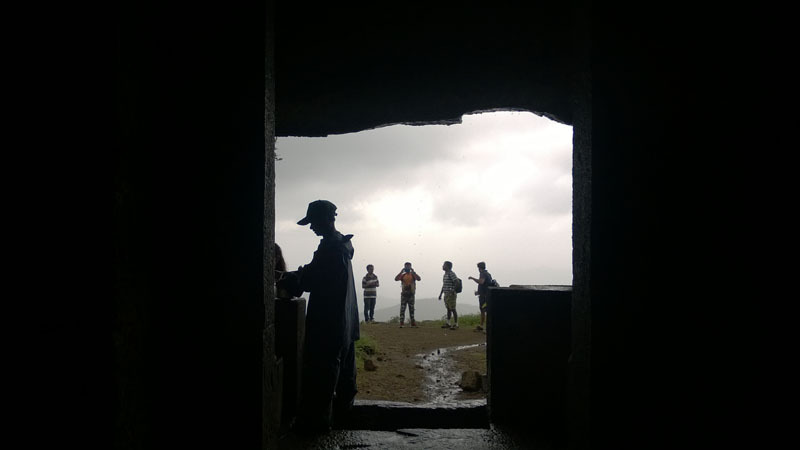 Trekkers during monsoon while navigating via Kondivade village, Karjat might find it a bit difficult to visit Rajmachi due to overflowing rivers which may sometimes leave the starting point of this route submerged underwater. 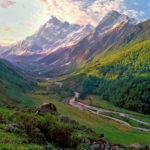 There are a lot of water falls and streams which overflows and one have to be navigate properly in rainy season while trekking to the top. While on the other hand the Lonavala trail is as said earlier is a piece of cake as the path is well marked and is quite safe.And also for the bikers who intends to experience off roading biking may find Lonavala trail to be the preferrable path .But do keep in mind before taking your bike up there check yours bike tyre’s air pressure and bike must have been serviced recently .As you may not find any sort of help, if stuck . 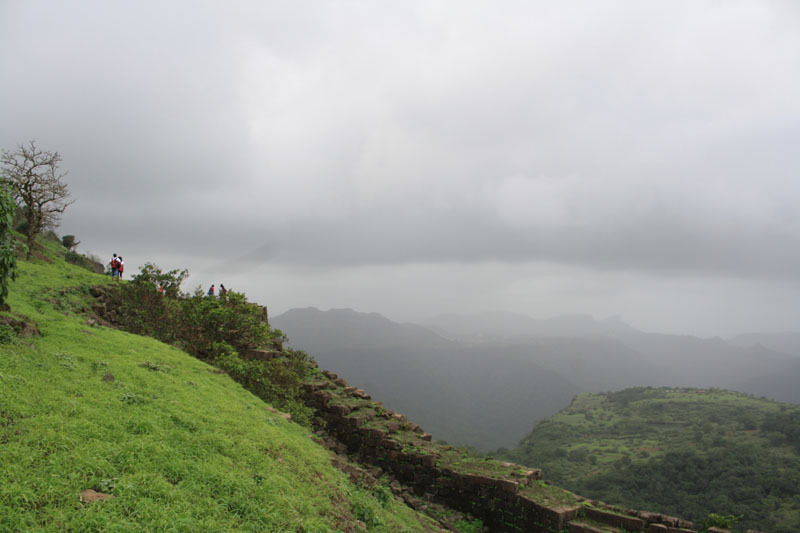 Upon reaching you may find that there are two fortresses on Rajmachi – the taller one in the east is Shrivardhan fort and the other in the west is Manaranjan fort. 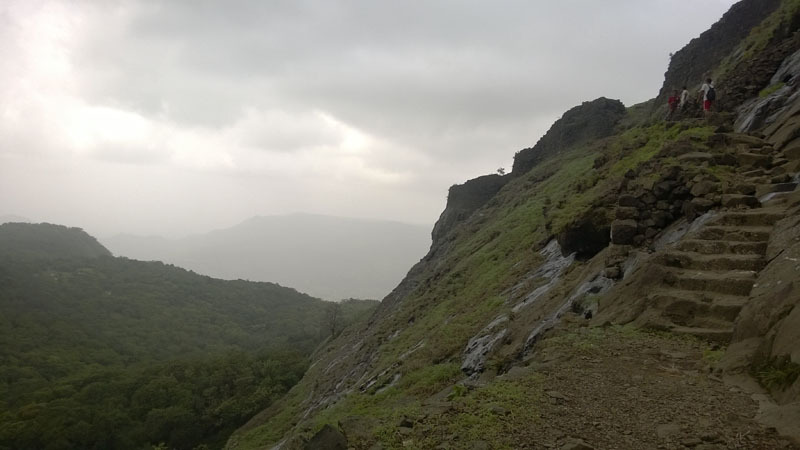 Rajmachi is a unique fort having wide plateau on all sides of the twin fortresses. 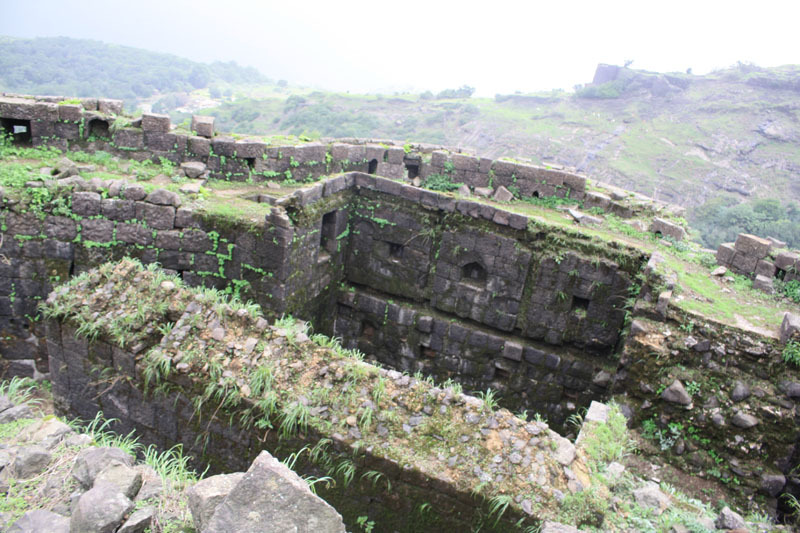 Though i happened to visit only the Shrivardhan fort.You can also vist the Buddhist caves on the western slope of Rajmachi plateau (at present known as Kondhane caves) which are believed to be carved in the period around 200 BC. 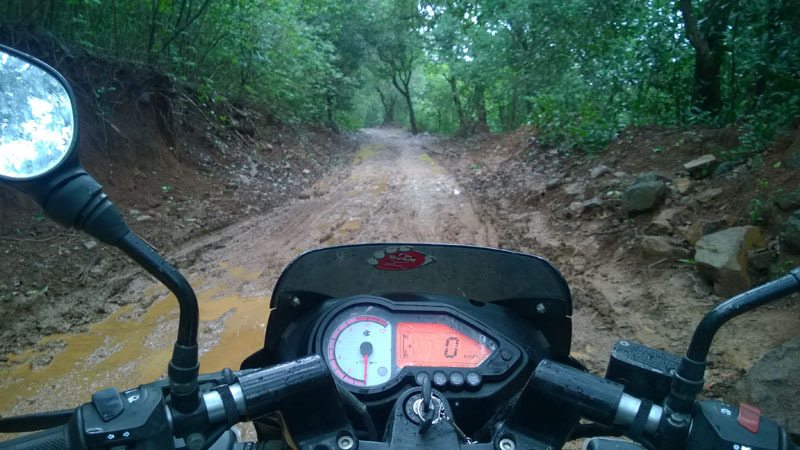 Overall a nice off-roading biking experience throughout the trail .And hope next time, I would undertake a proper trek to reach the twin forts . By Train: The nearest station is Lonavala which is very well connected by rest of India. 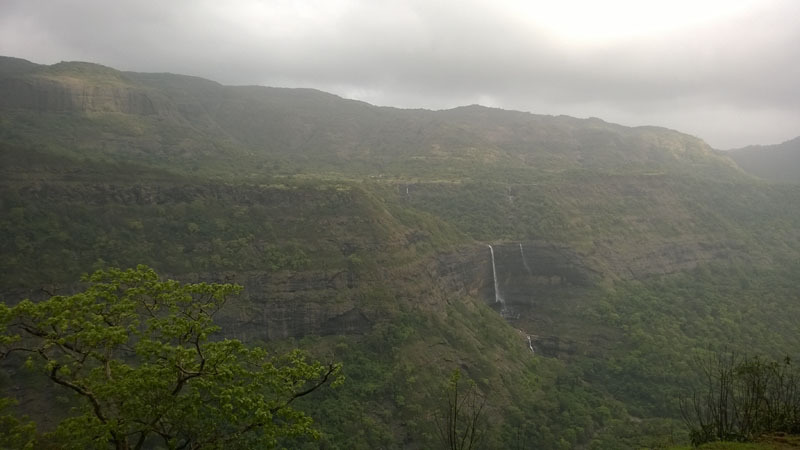 From Lonavala station take the main road up to the Rajmachi Trek path. From there its around 14km trek one way to reach Rajamchi fort . 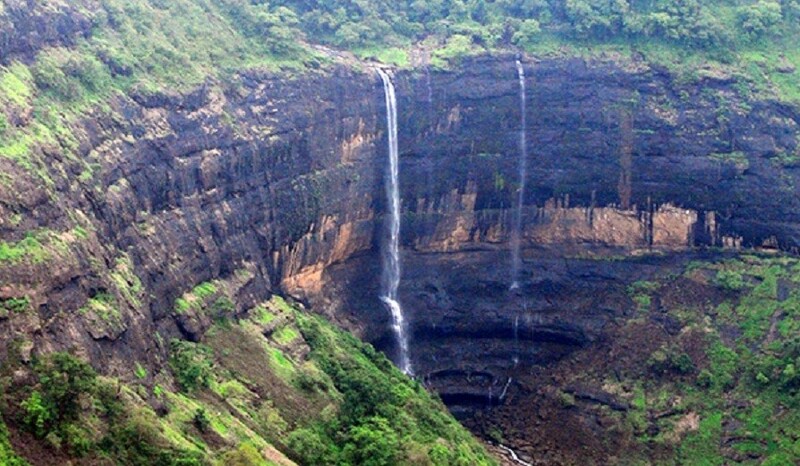 By Bus: Since Lonavala is a very well known and popular hill station , one can easily get a bus to reach Lonavala bus stand. 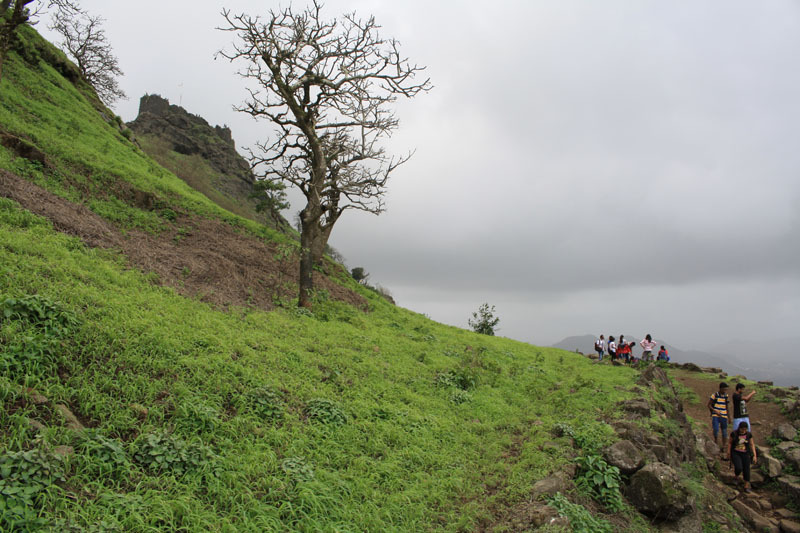 From the bus stand take the main road towards Pune and look out for the Rajmachi fort trek path, onwards to the fort. 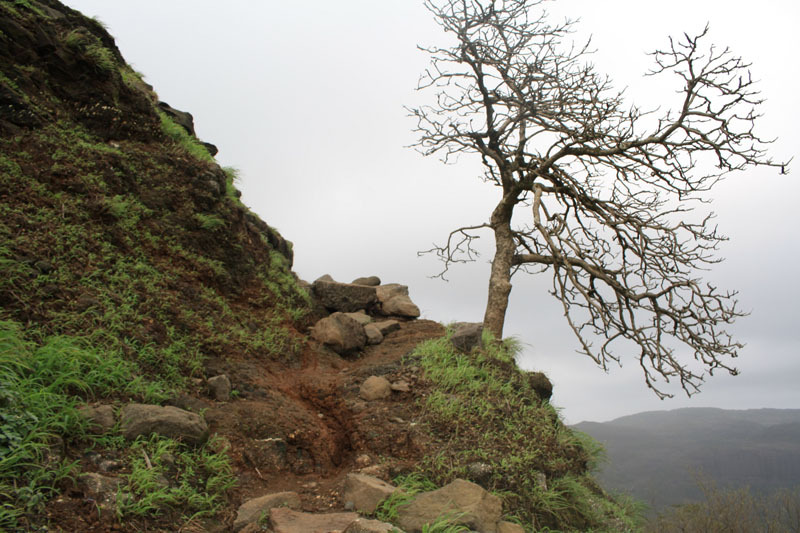 By Bike: The narrow path that leads to the foothills of Rajmachi Fort is well marked. One can easily reach there on their bikes. You can then park your bike and then walk the steps to reach the fort’s entrance gate. 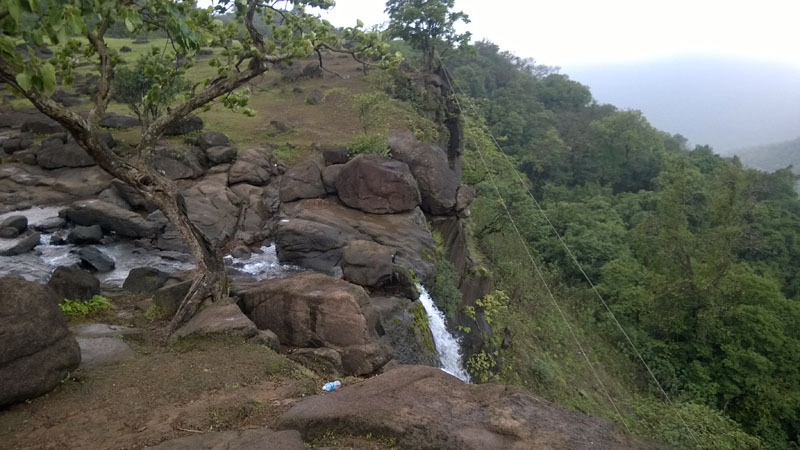 For trekkers who may plan for a night trek to Rajmachi fort, should take caution for snakes and mosquitoes which are rampant throughout the trek path. There are two caves which can accommodate max 50 people where you can put up your sleeping mats. 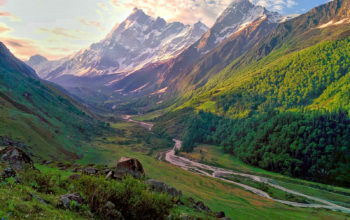 For campers, keep in mind there are no provision for drinking water there and you will have to carry sufficient water along with tents with you. Keep extra pairs of battery for your torches and a mosquito repellent cream.